Bathrooms, although we use them every day without thinking, are more than simply functional spaces. Rather, they are places of pleasure and pampering, where you get ready to face the day or unwind at its end. And, just as much as any other room in your home, they are a reflection of your lifestyle and personality. Good design is as crucial in your bathroom as it is elsewhere. 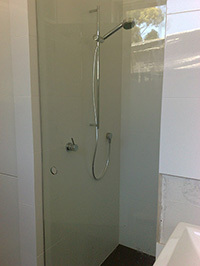 In most Adelaide bathrooms, the shower is the focal point. 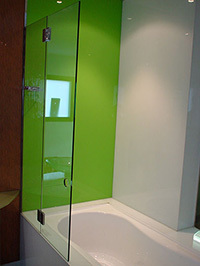 Therefore, your showerscreen should be a part of and complement your overall bathroom design. Our frameless showerscreens provide great versatility and flexibility, meaning that they are integral to almost any type of design concept. Frameless showerscreens provide a uniquely sophisticated look to your bathroom, and without the hindrance of a frame they also increase the sense of space and light. They can act as a centrepiece in themselves. adding a sense of elegance and luxury, or be designed so as to highlight other fixtures and fittings through their understated modernity. At McLaren Vale Glass we manufacture and install a range of designs and styles, and our frameless showerscreens are designed to enhance the look of all types of Adelaide bathrooms, whether contemporary inner-city apartment, suburban family home, or well-established heritage property. 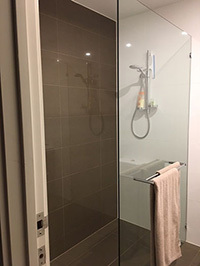 A frameless shower screen is undoubtedly a more hygienic option, as the absence of a frame means there are fewer places for dirt and germs to gather, and therefore fewer places for mould and mildew to develop. At McLaren Vale Glass, we specialise in the manufacture and installation of all types of domestic glass, and so you can rest assured that all of our glass products are made to the highest standards of safety and reliability, including Australian Standards for Grade A Toughened Safety Glass, with all of our frameless shower screens complying with Australian Standards AS1288 and AS2208. 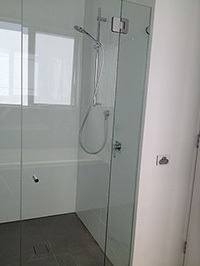 At McLaren Vale Glass, all our of showerscreens are made from 10mm safety glass and we are able to offer a selection of clear or tinted glass, meaning that your showerscreen will be a unique reflection of you and your lifestyle.